LivingROC would like to present our newest to the family NEW YORK WOOD and our Quebec. With the look of wood grain this beautiful grade A marble can transform your bathroom into a modern rustic oasis to admire. 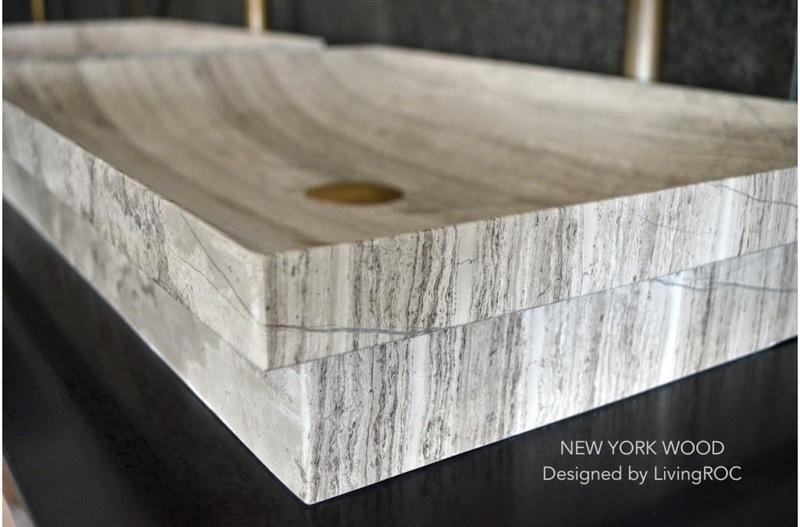 Both vessel or drop-in, NEW YORK WOOD is a rectangular Beige Brown single bathroom vessel sink - 23.3" x 15.7" x 3.5" - genuine interior decoration pure genuine Marble. This model is one of our Bathroom range star. Its slim and sleek lines invite calm and serenity. Its four sloping edges allow a large amount of water. This creation will give your bathroom a minimalist still elegant look. 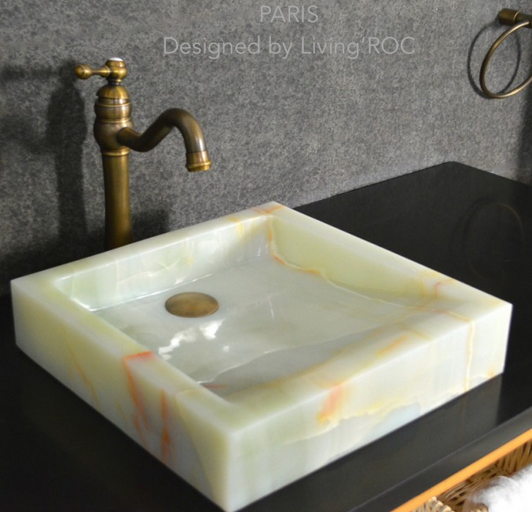 At LivingRoc we have chosen the most beautiful stones. All our basins are made from high quality, pure genuine materials that will last for years to come. As always we recommend to waterproof your natural stone every 3-6 months. 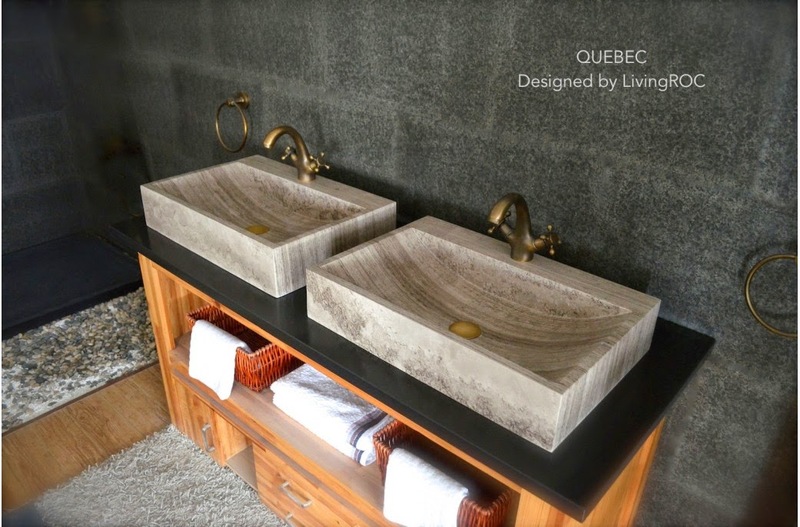 Here we have a rectangular natural stone bathroom vessel sink QUEBEC - 23.3" x 15.3" x 4.75" made in a genuine interior deco Brown Wood grain marble, with faucet holes. Add value to your home by transforming your bathroom into an oasis of elegance, calm, and tranquillity. Discover the well-being and the restful feeling our creation can offer you. We welcome you to visit our site Livingroc.net and view more of our natural stone products.